The Master of Advanced Studies (MAS) in Development and Cooperation of the Swiss Federal Institute of Technology Zurich (ETHZ) offers students an inspiring environment to learn about local and global development challenges and state-of-the-art methods to find innovative solutions. Through the combination of coursework and on-the-job training, students gain both the theoretical background and the practical experience necessary to pursue a career devoted to more inclusive, peaceful, and sustainable societies. The MAS program consists of a full-time study semester, a 10 month overseas assignment, and a capstone semester of block courses. During the first semester, students acquire a broad understanding of development challenges, opportunities, and policies. The courses are a combination of lectures and workshops, which allow for intensive discussion. During the 10 month on-the-job training students are exposed to the complex realities of international cooperation and gain professional experience in this environment through an ongoing project. The overseas assignment is fully financed by the Swiss Agency for Development and Cooperation (SDC). After the overseas on-the-job training, students attend six block courses (of 3-5 days) on topics of their choice, deepening their knowledge on methods and policies. The courses are taught jointly by ETHZ lecturers and practitioners in order to link cutting-edge research with politics and practice. As a final assignment, students are required to submit a policy essay. The MAS in Development and Cooperation is run by the NADEL Center for Development and Cooperation. The program welcomes students from all disciplines, and is bilingual (English and German), multidisciplinary, and policy oriented. The program starts every second year and accepts 24 students. 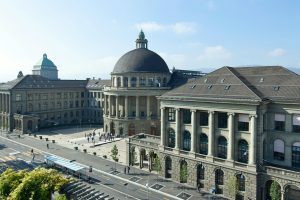 Learn more about the MAS in Development and Cooperation at ETH Zurich here.